The Proust Questionnaire, popularized by the French essayist and novelist Marcel Proust, is said to reveal a person’s true nature through a series of probing (i.e., nosy) questions. 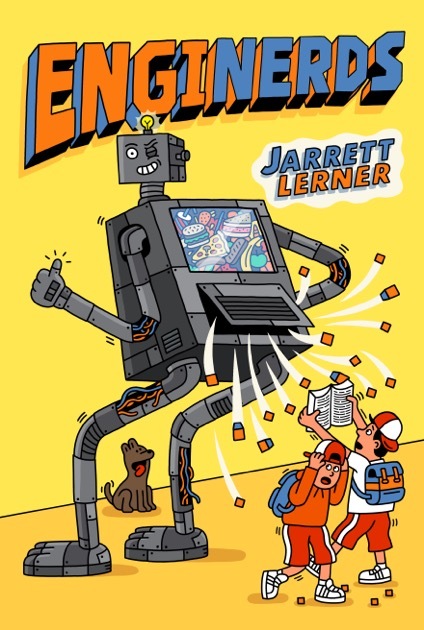 In the hot seat today: Jarrett Lerner, author of the MG contemporary, ENGINERDS (Aladdin/Simon & Schuster). What is your idea of perfect happiness? An enormous, boisterous, delicious family dinner that goes on and on and on and on. What is your greatest fear? Failing someone I love. What is the trait you most deplore in others?Intolerance. Which living person do you most admire? Tim Gunn. He is kind, wise, and always well dressed. What is your greatest extravagance? Books, without a doubt. Though a close second would have to be nice dinners. What is your current state of mind? Elated, and in awe: I recently became a father. What do you consider the most overrated virtue? Temperance. “Moderation in all things” – including moderation. Sometimes, such as when you’re at an especially lovely bookstore or a particularly fine restaurant, you must splurge and indulge. Life is too short, sweet, and precious to do otherwise. On what occasion do you lie? Sometimes, when I return from a trip to the bookstore, I tell my wife I bought “a couple” books, as opposed to three or four or twenty-five. Besides writing, which talent would you most like to have? I’m a decent cook and an okay baker, but I wish I were better at both. What do you consider your greatest achievement? Convincing my astonishingly awesome wife that I’m the person she wants to spend the rest of her life with. If you were to die and come back as a person or a thing, what would it be? A sea turtle. I could watch them gracefully glide through the water for hours. Sometimes, I do. Their gentle slowness both calm and inspire me. What is your most treasured possession? I try not to get too attached to material things, but whenever I’m baking or making pasta, I certainly treasure my KitchenAid stand mixer. What do you regard as the lowest depth of misery? Going to make a pot of coffee first thing in the morning, only to find you’ve run out of beans. What do you most value in your friends? Dependability and humor. Who are your favorite writers? The list is long and, it seems, it grows by the day. But the few that moved, excited, and inspired me the most – both as a kid and, now, as that same kid trapped in an adult’s body – are Walter Dean Myers, Judy Blume, and Jerry Spinelli. Who is your hero of fiction? Pip from Great Expectations. Which historical figure do you most identify with? Not always, but sometimes I feel like I know exactly how President Taft must’ve felt the moment he realized he’d gotten himself stuck in that bathtub. 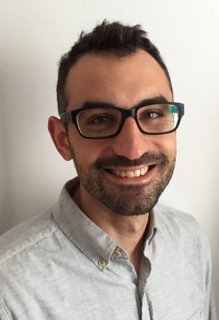 JARRETT LERNER writes about farting robots, belching knights, and other serious matters. His debut novel, EngiNerds, is on shelves now. The sequel is currently slated for an early 2019 release. He lives with his wife, his daughter, a cat, and a dog who sometimes thinks he’s a cat in Medford, Massachusetts. Find Jarrett on his website and Twitter.